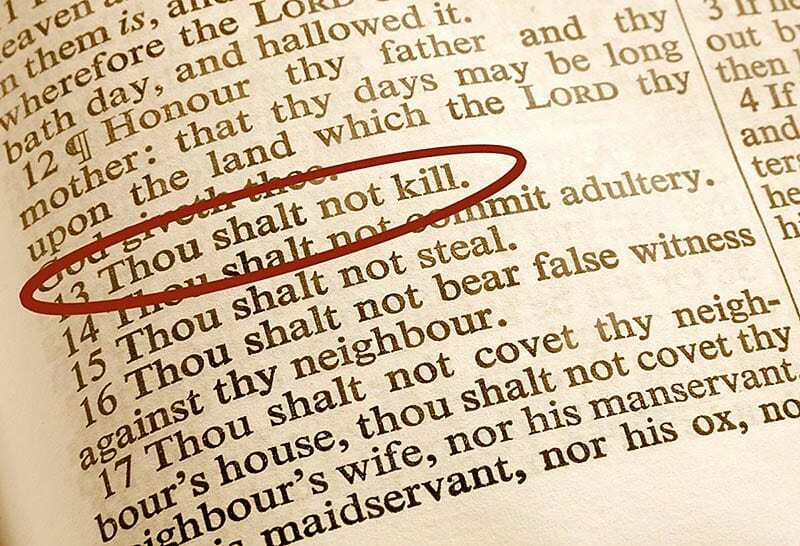 Does the Bible Say That All Killing Is Wrong? No. Properly translated, the sixth of the Ten Commandments (Exod. 20:13) says, “‘You shall not murder.” Biblically, there are three types of justified killing: (1) individual self-defense, (2) social self-defense, which is known as war; (3) execution of criminals for capital crimes. The death penalty was God’s idea (Gen. 9), given to Noah after the Flood as the foundation of civil law. That is because God understands the spiritual battle going on and how wicked some people are. Those dedicated to doing evil are a blight on society, which is far better off without them. God is a God of justice, and one day the Lord Jesus Christ will aptly mete out both reward and punishment to every human being who has ever lived. The Lake of Fire (Rev. 20:15) is the ultimate death penalty by which all wicked people of all time will be forever annihilated. A good video teaching on this topic is: “Words Have MEANINGS, Part 1 of 2.” For further study we have articles covering this topic: “What Does the Bible Say about War?” “What Does the Bible Say about Drugs and Drinking Alcohol?” “Does God ‘Permit’ Evil?” and “The Sin of Lucifer and the Origin of Evil.” See our books: “Don’t Blame God! A Biblical Answer to the Problem of Evil, Sin, and Suffering,” especially in the Introduction; and “Is There Death After Life?” especially chapter 1.